Take a look at that! You’ve spent anywhere from $10 to $20 a pop for a movie that you watched once and put back on a shelf to collect dust! In today’s times, you can pay $8 a month and access thousands of titles on Netflix or Hulu. Or you could pay $4 a pop per movie through on-demand services- you already pay on average $100 a month for cable! So how do you get some of your money back? Well, for the so-called collector’s editions, they are only going to go down in value. There is not much of a “Collector” market out there for these things, but this market will only continue to diminsh as we continue to progress towards full-quality HD streaming and blu-ray quality. These items can get a decent value online through e-bay and craigslist. Your regular DVDs? You’re going to have a much harder time squeezing pennies out of these rocks. MovieStop, a sister store to GameStop, will buy back used DVD’s at a fraction of their initial cost. Although you’re only getting pennies compared to what you paid for them, it’s still extra change in your bank account. It won’t be long before they discontinue this service for DVDs all-together. There are other services online, such as ‘secondspin.com’, but you will only want to do this if there’s not a store like ‘gamestop’ or ‘moviestop’ in your area, as you’ll need to pay the initial shipping to the company. 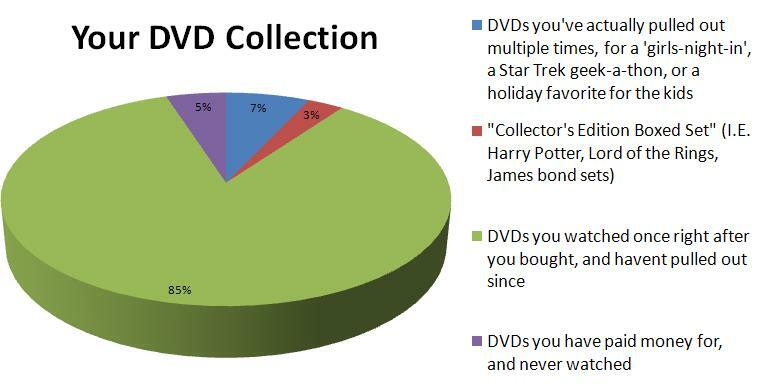 The cost of shipping would eat all, if not more of the potential profit off your DVDs, whereas you can just drive to a moviestop and sell them on-site. Don’t need the money? Nursing homes, libraries, GoodWill, Schools, and Daycares in your area would LOVE a donation. Anything they don’t already have is ‘New’ for those in need. Be sure to comment below- thoughts on elimiating DVD’s from your home? Tried this before? How was your experience at MovieStop? 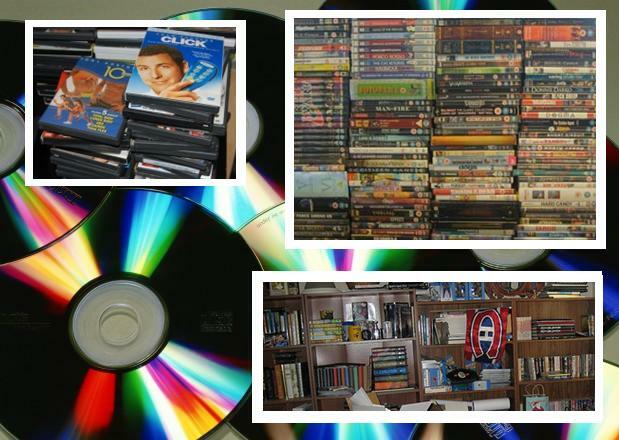 Do the benefits of more space and less clutter out-weigh storing and dealing with mountains of DVDs?